I had mentioned it in one of my earlier posts about an Indian kids content website where I had landed up just by chance. After browsing through few pages, I decided to give their iPad app a try and man did I like it? Oh yes, a lot! Loved the freshness of the content so much that ordered some of their books as well and I wasn’t disappointed at all. Content was indeed interesting with appealing illustrations. I’m speaking of “Fun OK Please”, a new age children’s book publishers based out of Mumbai. They focus on contemporary Indian content for children in the age group of 3-10 years and offer stories set in modern context. Relatable characters, practical messages and their made for India philosophy are some of their key differentiators which attracted a mom like me to check out their whole collection for my little one. I read four books from their ‘Toto and Pattu‘ series and absolutely loved it. 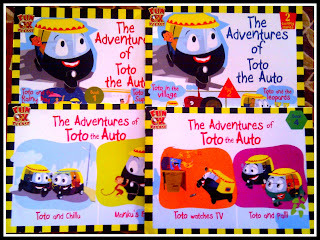 Toto’s stories are all about adventure and having fun while also solving problems and helping others. Toto is a lovable, cheeky little autorickshaw who lives in Mumbai with his driver Pattu. Toto, by character is brave, kind and a do-gooder. He loves to help others and make new friends. 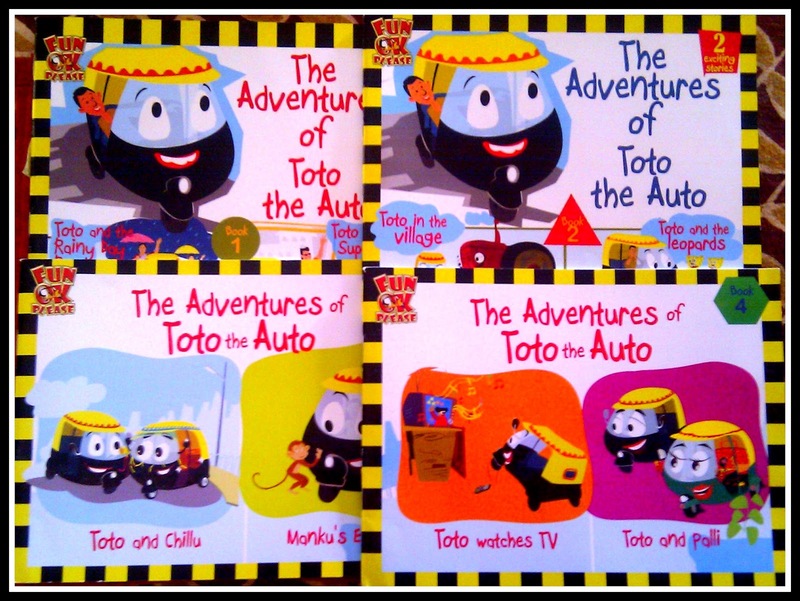 Involving people, animals, vehicles and objects, Toto’s stories aim at building character and developing positive self esteem in children. Unlike the typical bedtime stories or fairytales, Toto stories are set in real cities with a backdrop of our day-to-day lives. Messages are practical and pertinent to current generation kids. Morals taught are not preachy but realistic with an added punch of fun. Problems addressed are more of what kids face in their regular lives like hazards of watching TV continuously or repercussion of feelings like jealousy and insecurity amongst friends. Presentation is interesting with rich visuals that will appeal to younger kids for sure. Each book comes with an activity section at the end making the books more engaging and fun for kids. In nutshell, Toto series is all about being “practical yet fun” and “interesting yet informative” at the same time. It’s something that I surely look forward to offering it to my little one when he grows up. As of now also, he loves listening to the Toto song on iPad app. So, all you parents looking out for some good Indian kiddie content, do check out this collection by Fun Ok Please. Two of my friends have already bought the series and their kids loved it! You can check more about them at their site or on their Facebook page.